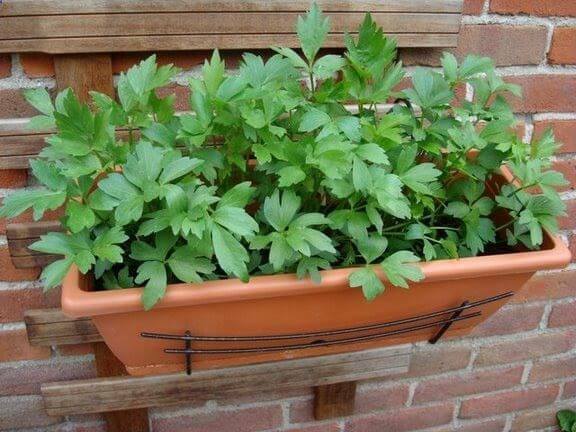 Levisticum officinale (Lovage) is a perennial herb plant. It grows up to 4-6 feet tall with a basal rosette of leaves and stems with further leaves, the flowers being produced in umbels at the top of the stems. The stems and leaves are shiny glabrous green to yellow-green and smell of lime when crushed. The larger basal leaves are up to 28 inches long, tripinnate, with broad triangular to rhomboidal, acutely pointed leaflets with a few marginal teeth, the stem leaves are smaller, and less divided with few leaflets. The blooms are yellow to greenish-yellow, 2–3 mm diameter, produced in globose umbels up to 4 – 6 inches diameter, blossoming is in late spring. The fruit is a dry two-parted schizocarp 4–7 mm long, mature in autumn. It thrives best in full sun to part shade. It grows well in average, medium moisture, well-drained, loamy soil. It also prefers a pH range between 5.0 and 7.6. Water your plant regularly during the growing season and always keep the soil evenly moist but never allow your plant to sit in water. You can allow the top 1 inch of soil to dry out between each watering. Fertilize Levisticum officinale once every spring using a complete plant food. It can be easily propagated by division of roots or by seeds. seed in spring or early autumn in a cold frame. 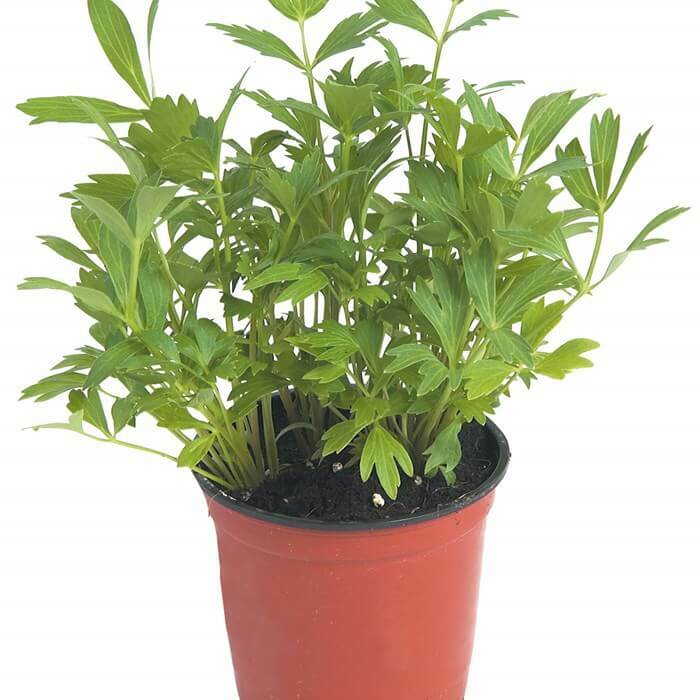 Pick young Levisticum officinale leaves as they have the best taste and texture, avoiding the central flower stem and the hollow main stems before flowering. Use the leaves fresh, dry or freeze them for later use. Levisticum officinale leaves can be picked within 6 to 8 weeks from sowing until the first sharp frosts. Collect seeds when ripe, once they start to turn brown. Allow seedheads to dry on plants. Place a bag over the seedheads to capture ripening seed. When the seedheads are completely dried, remove and collect seeds from the bag. There is no serious pest or disease problems. Watch for celery worm, leaf miner, and aphids.